Aged malt whisky in a perfume? Actually, come to think of it, it seems completely reasonable when you are talking about a fragrance that aims to distill the very essence of a city like London. Right? 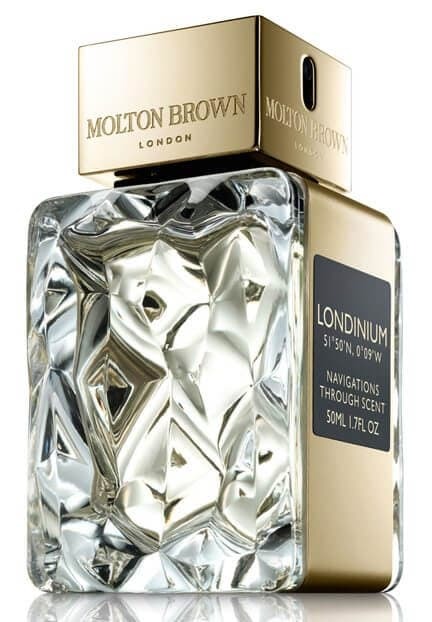 Molton Brown’s Londinium (Latin for ‘London’), which is just making its debut as an ode to the Olympic Games, channels street style and royal parks, malt whisky on ice, the flash of coloured lining in a Savile Row suit… London at its playful, charismatic best. Besides the warm whisky notes, there is incense, myrrh, green oak moss, incense, wild juniper, zested bergamot and crisp berries – and in true Molton Brown style, the ingredients have been sourced from around the world. It’s the perfect tribute from one of the world’s most iconic English brands (which actually started as a hair salon in London!) and I can’t wait to try it out. But it’s a limited edition so run, don’t walk – this one is definitely not going to stick around on the shelves for long! « Cannes 2012: Freida Pinto, seriously?